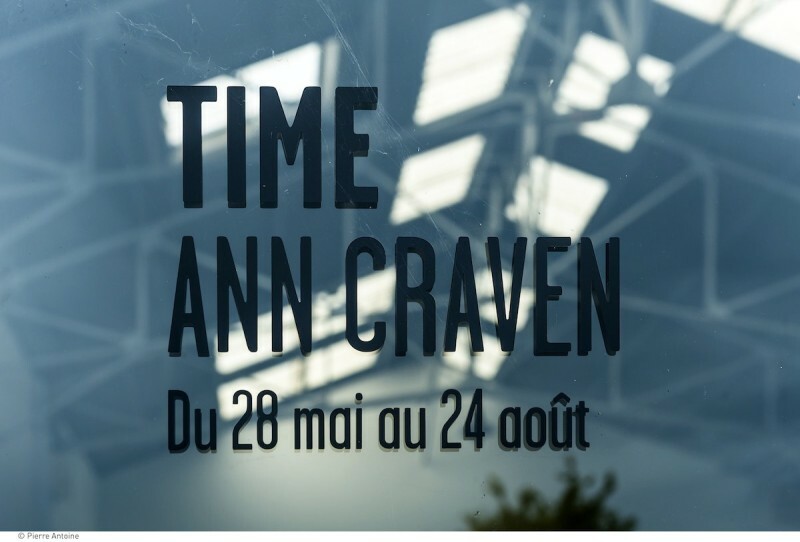 An exhibition by Ann Craven. 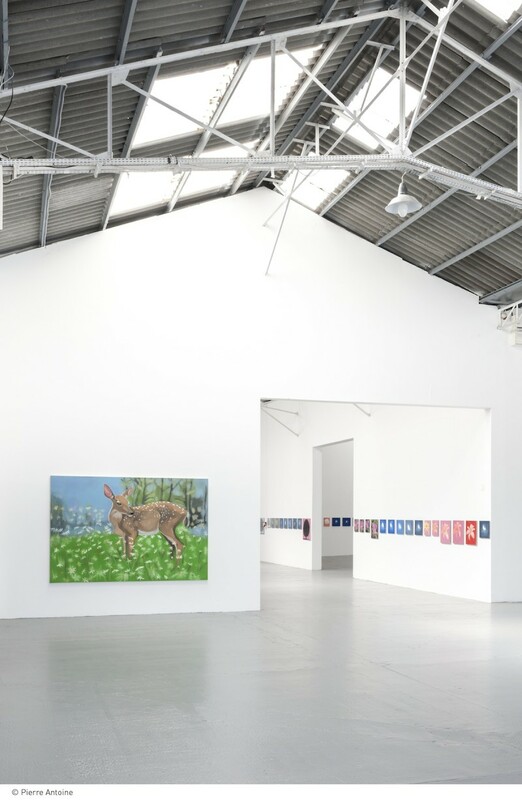 Including the entire AC laboratory from 2013 and related large scale works from 2002 to 2013. 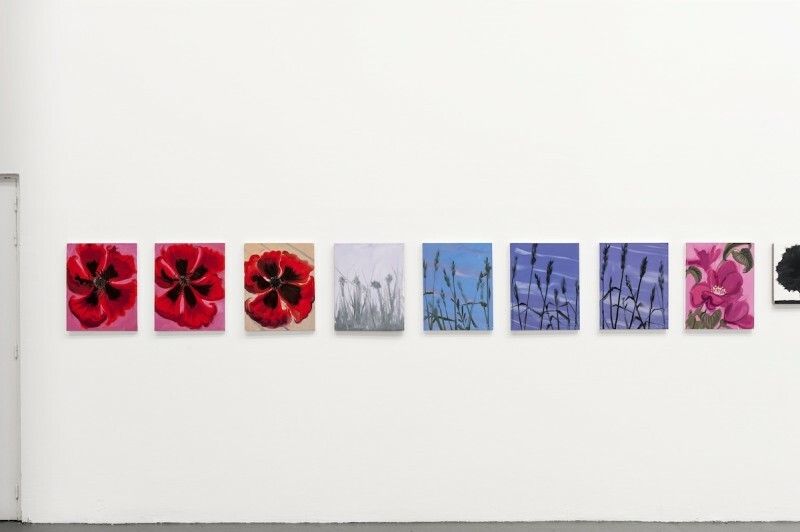 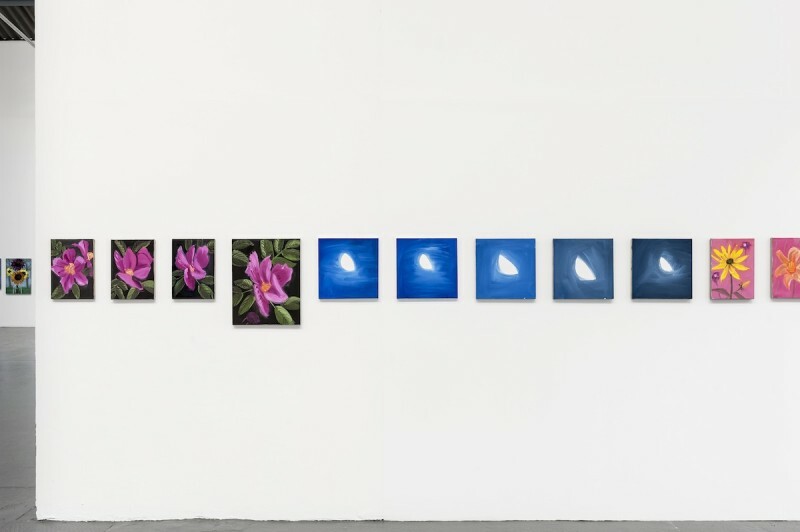 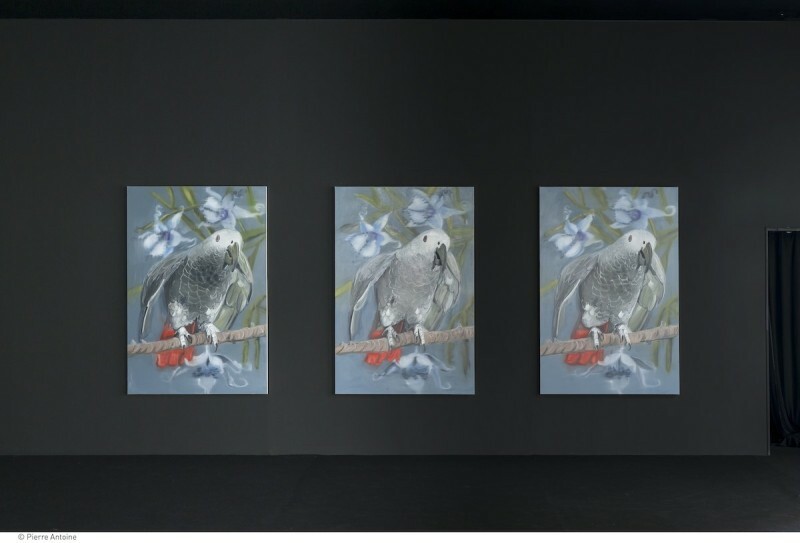 To select a group of Ann Craven’s works to organize an exhibition seems simple at first since all works originate from an identical process, are crossed by recurring motifs, and share a style that is immediately recognizable. 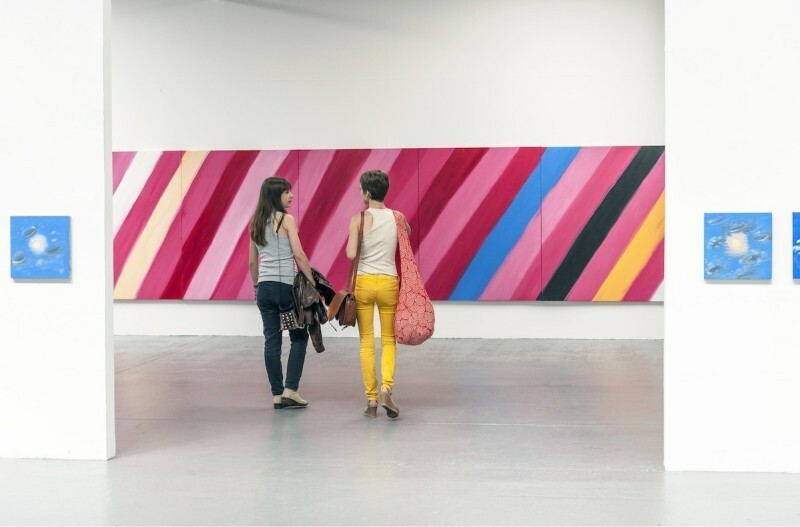 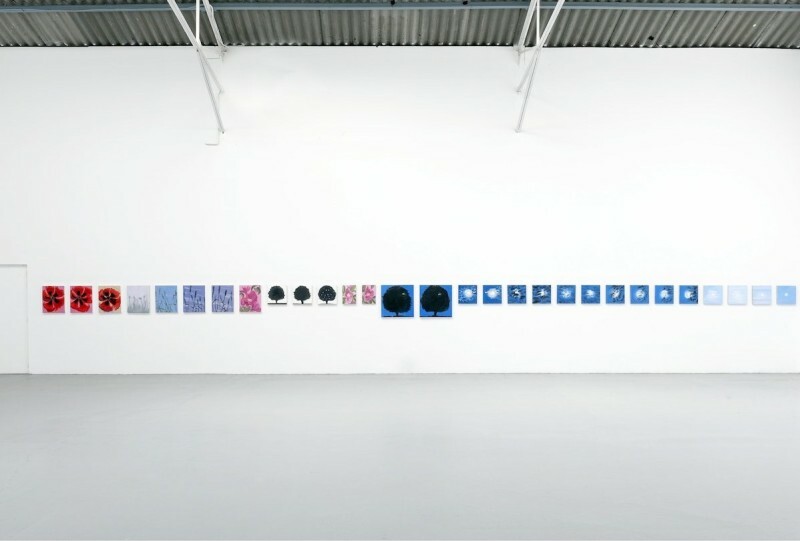 One considers selecting the works randomly by bringing together subject, motif or format. 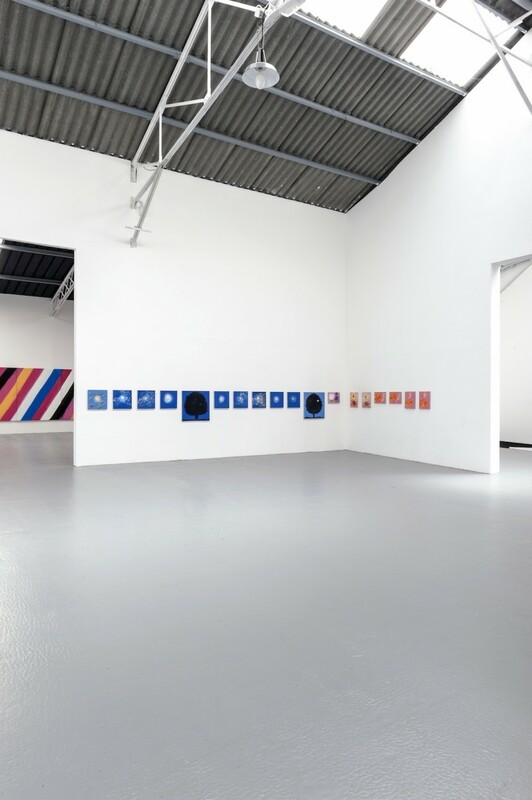 It then strikes us the exceptional amount of work produced by the artist, and it comes to mind that the only valid exhibition would be to gather all, to show everything. 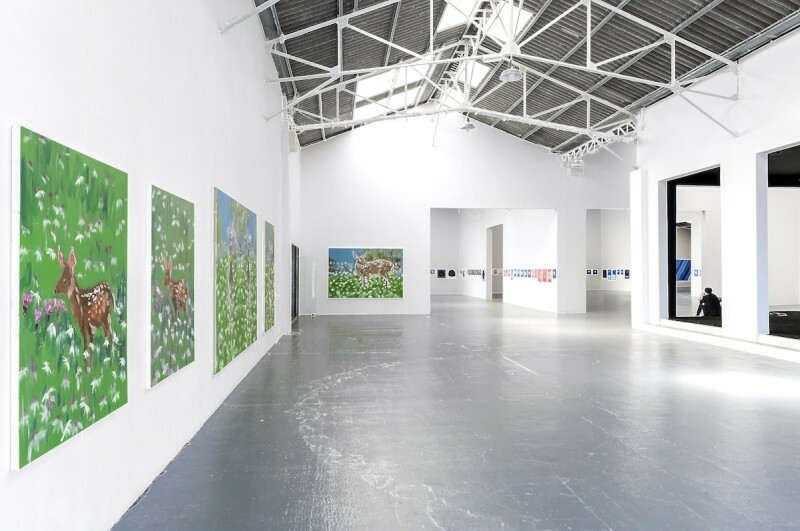 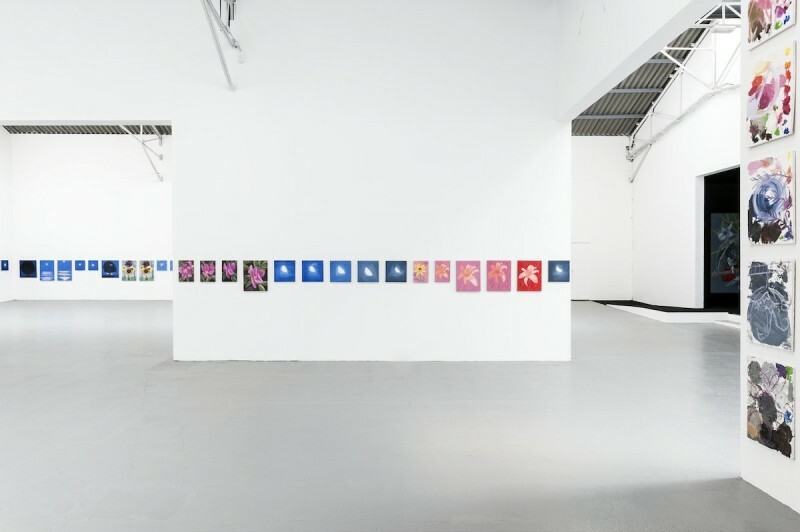 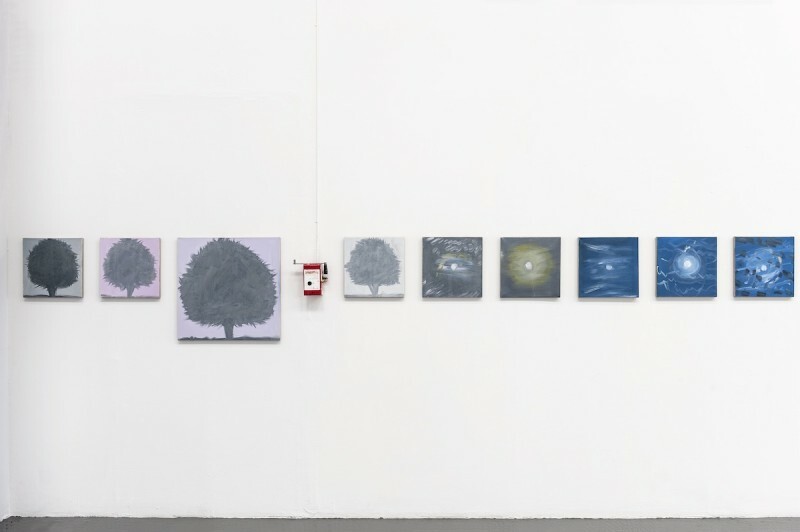 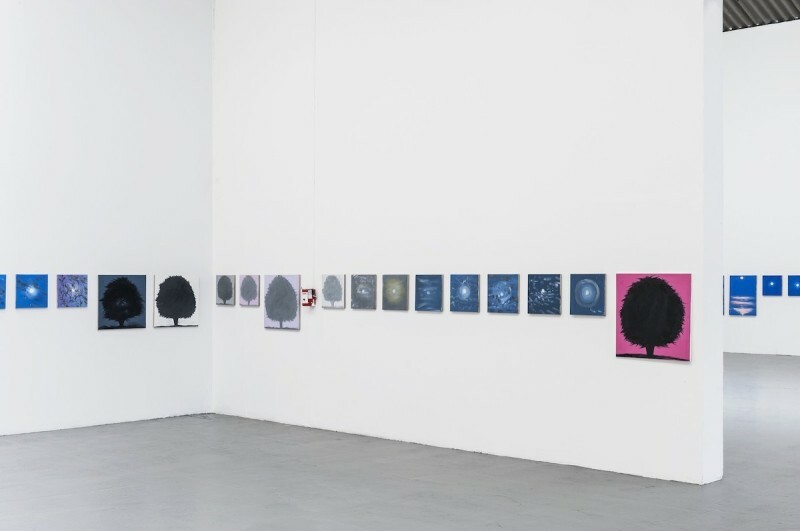 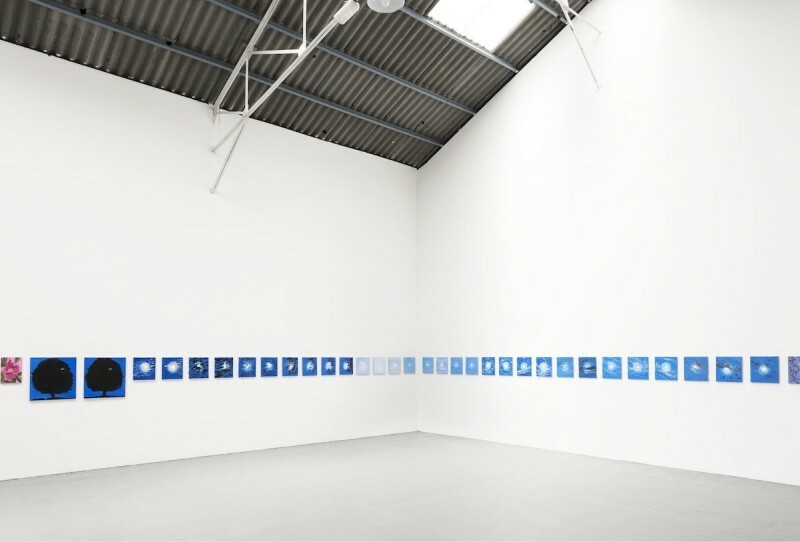 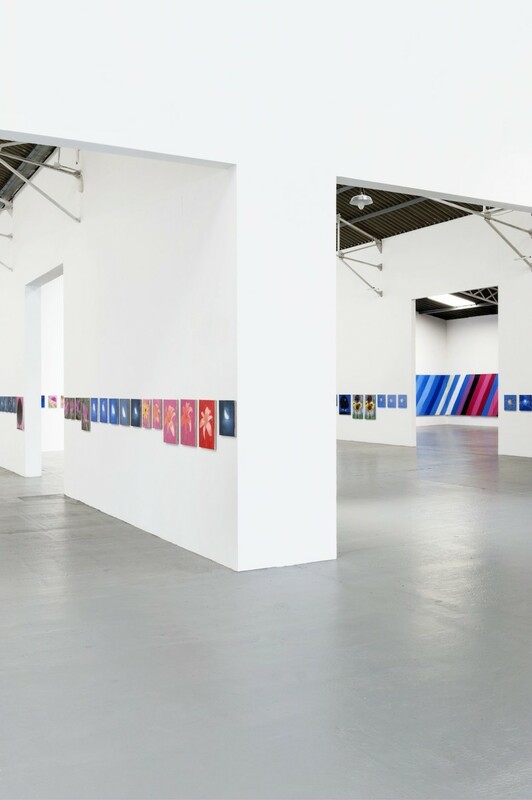 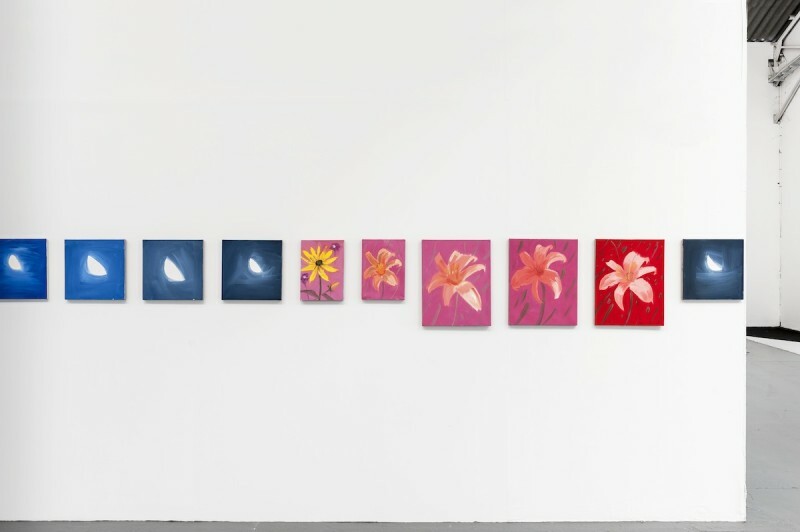 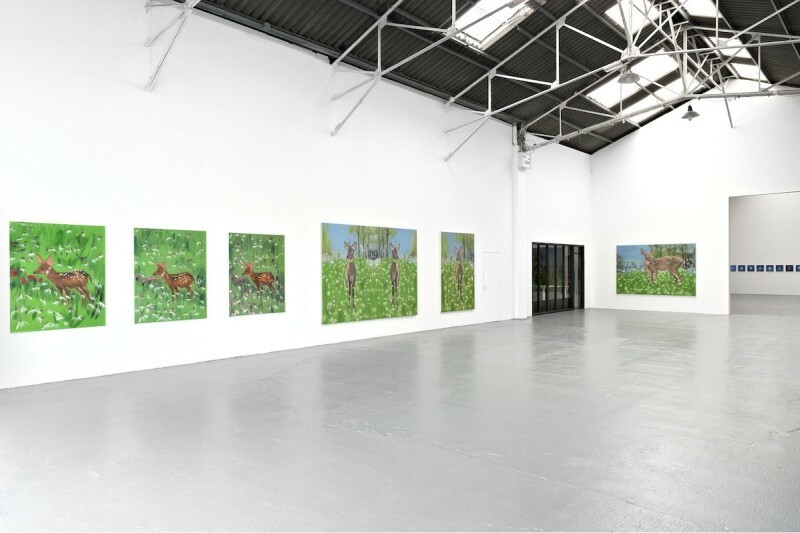 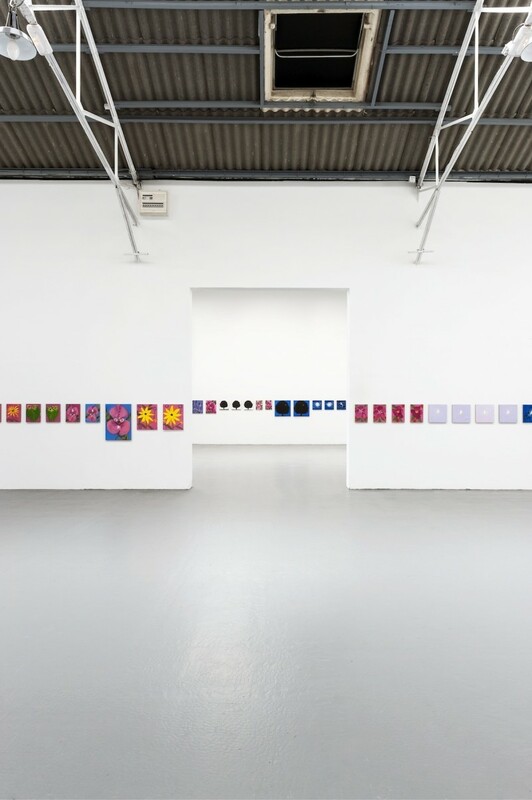 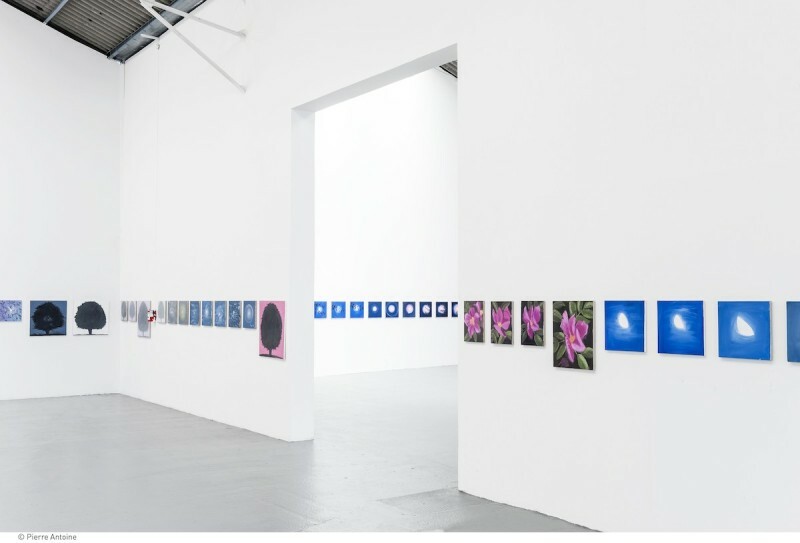 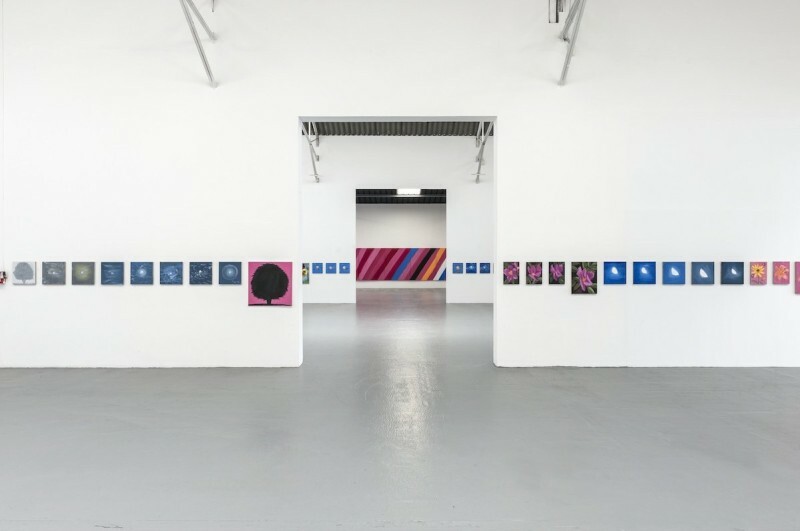 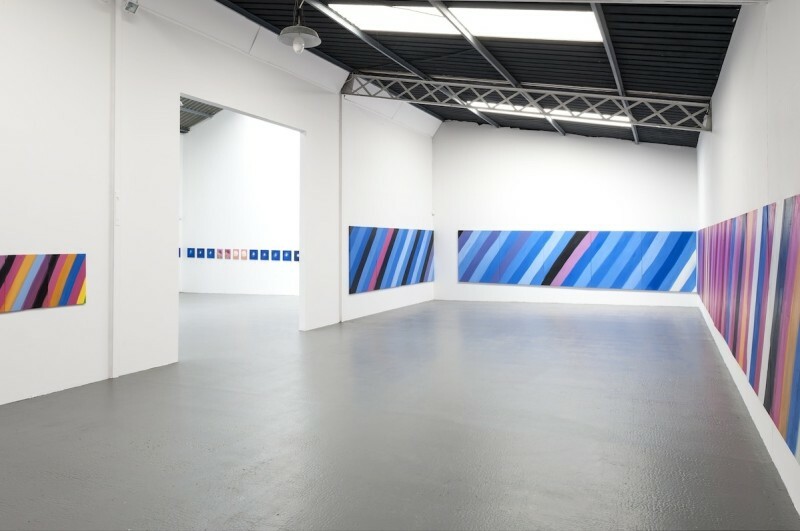 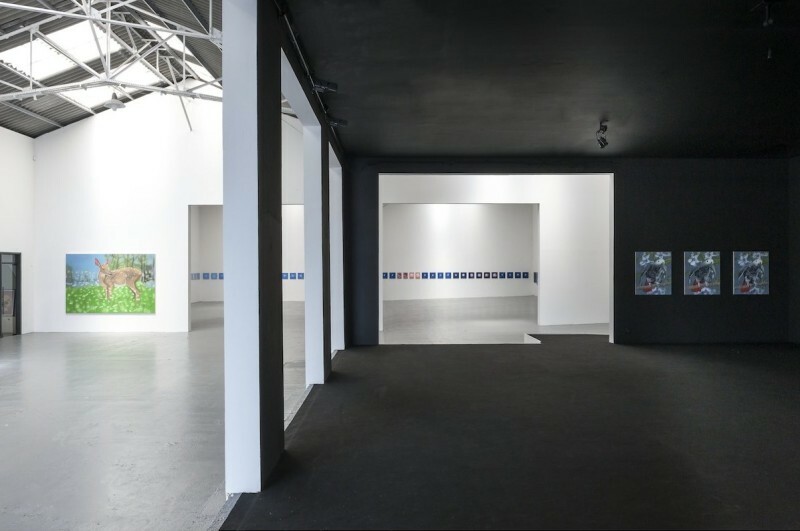 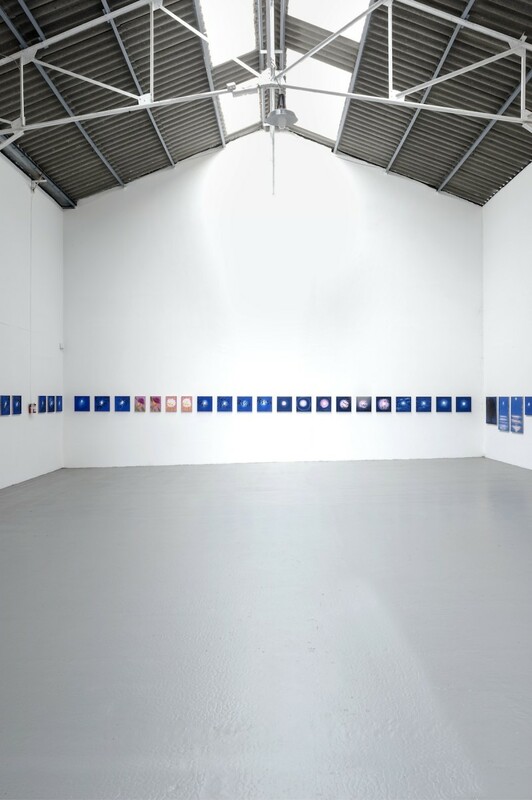 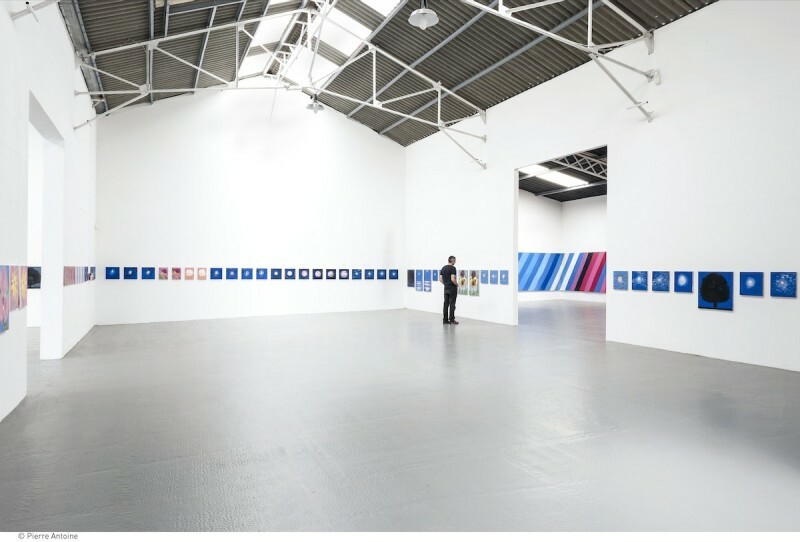 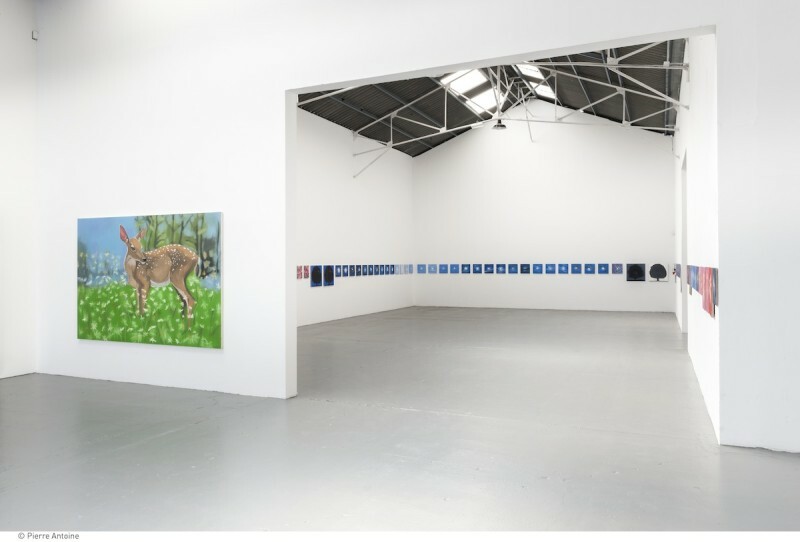 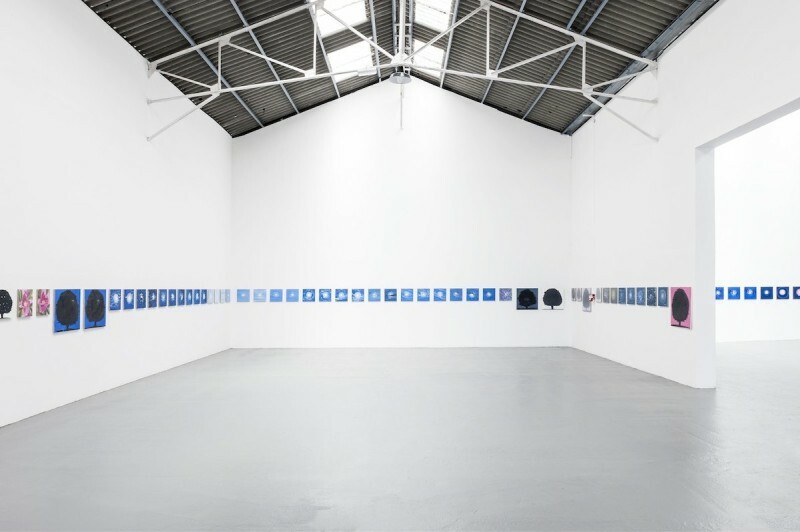 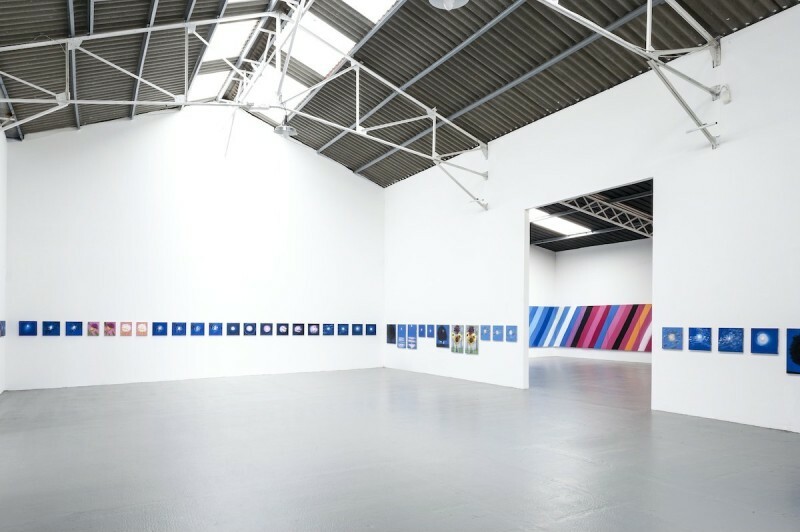 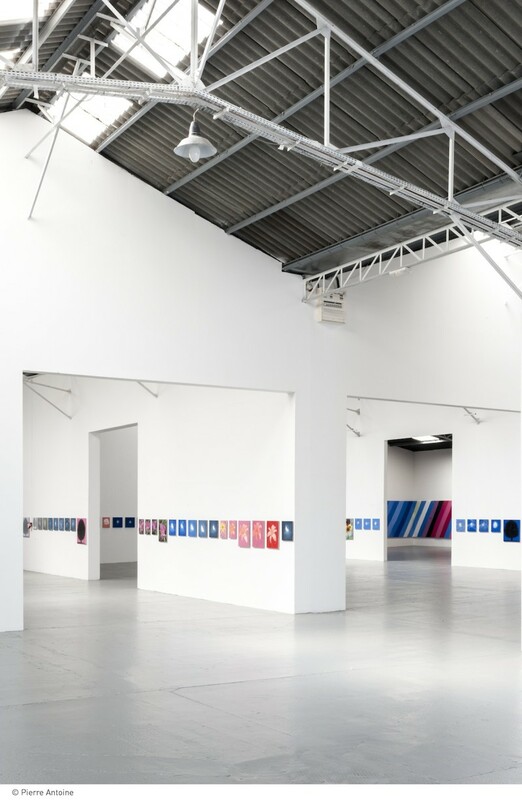 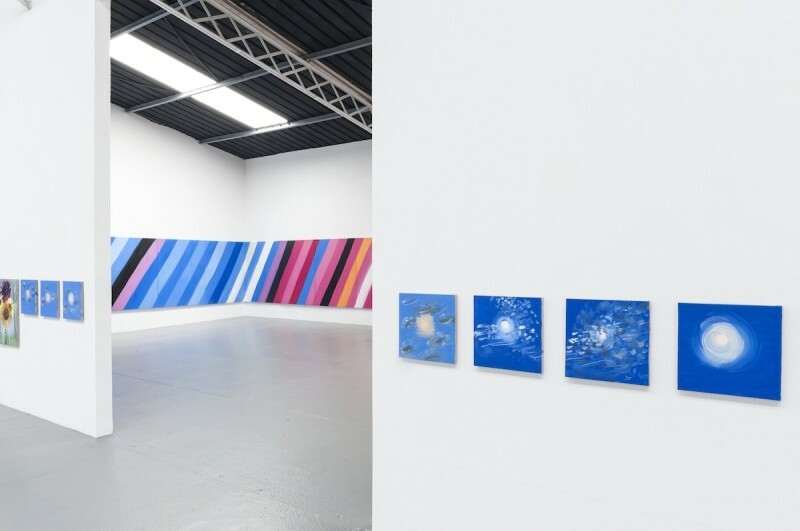 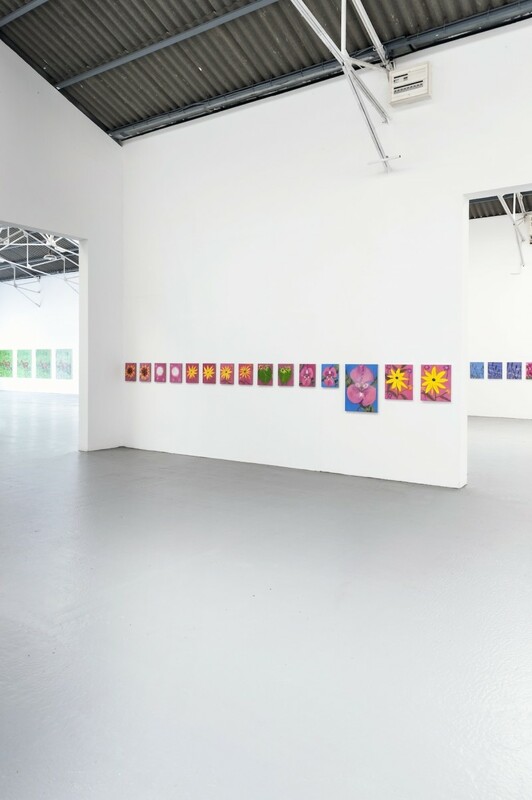 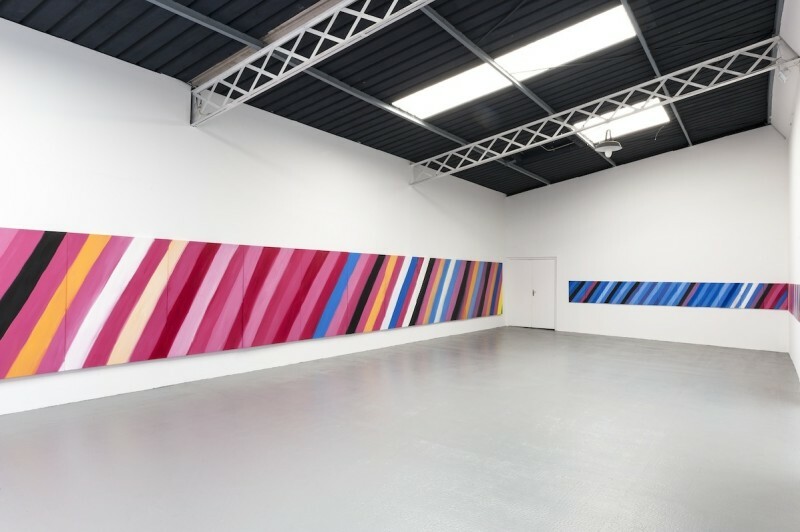 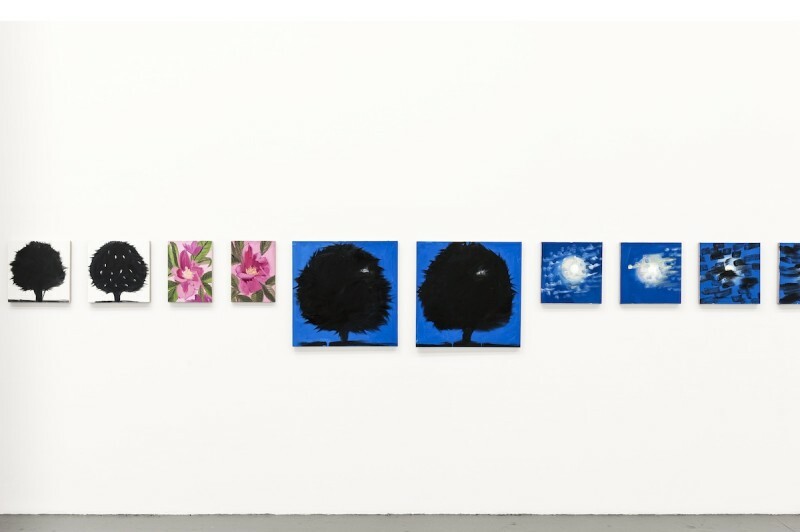 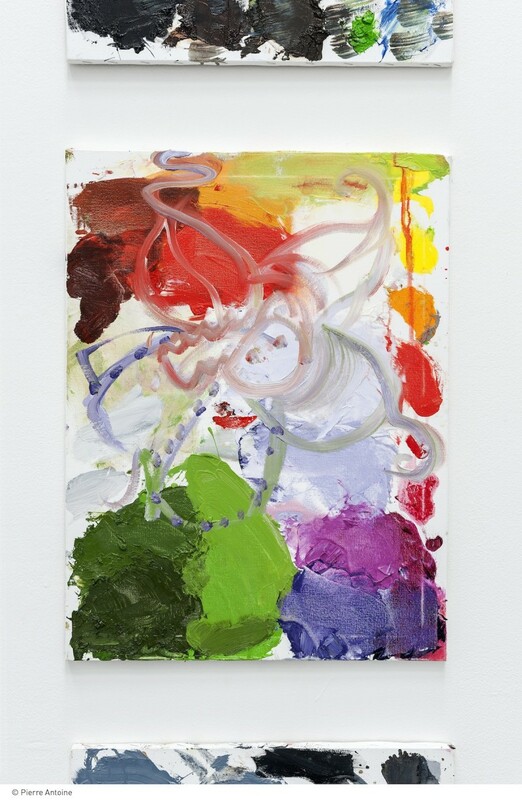 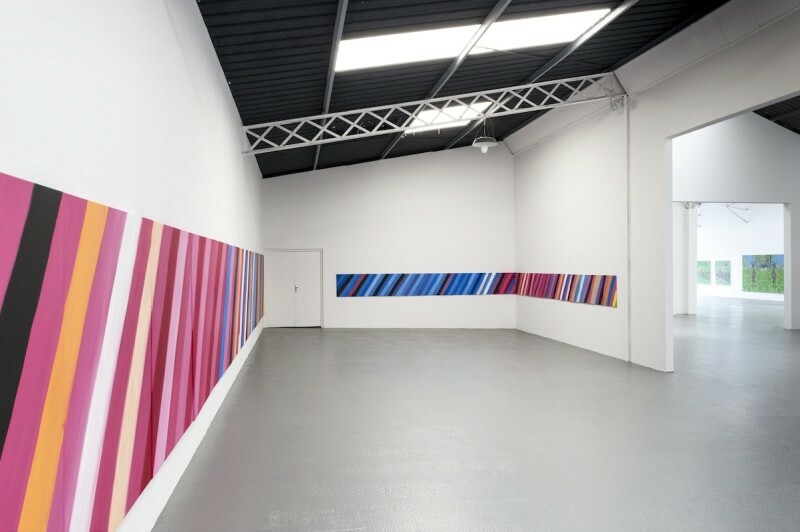 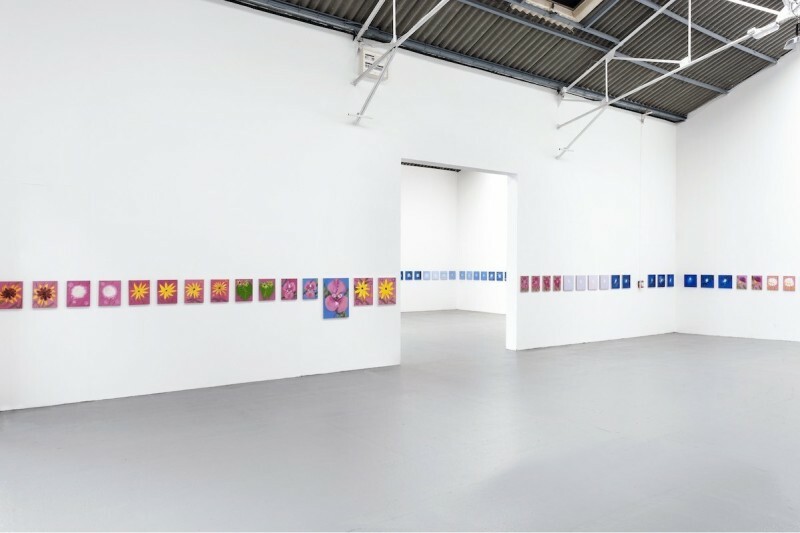 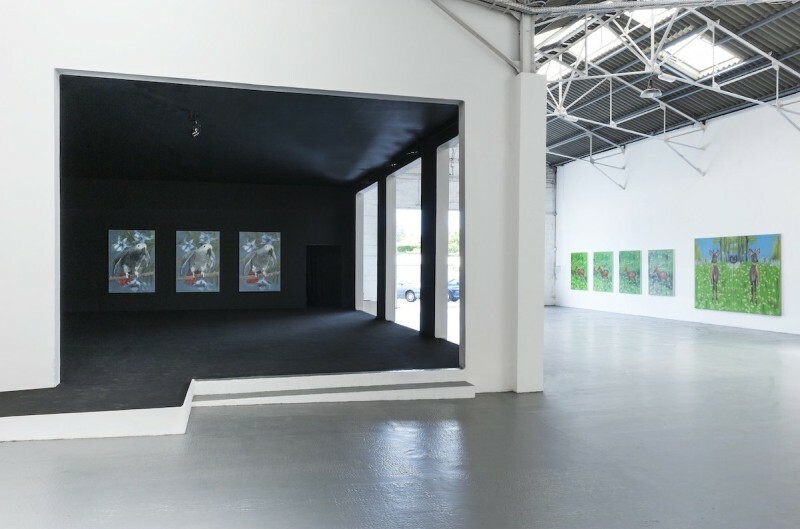 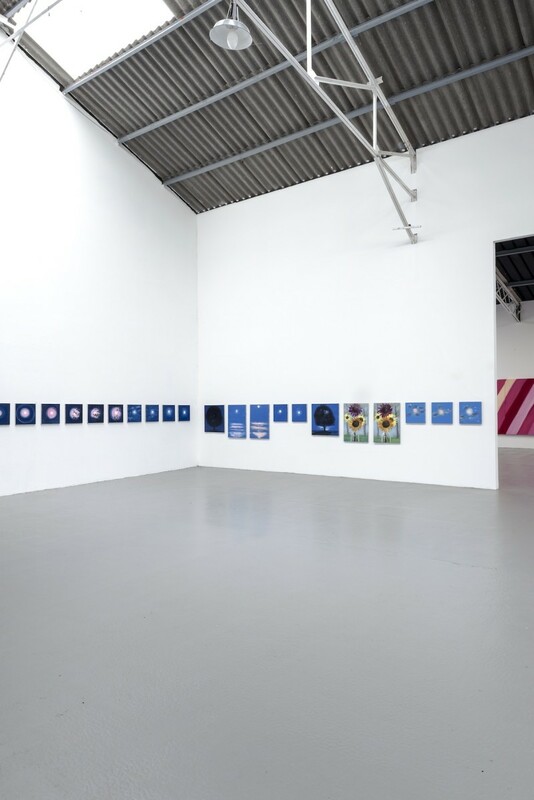 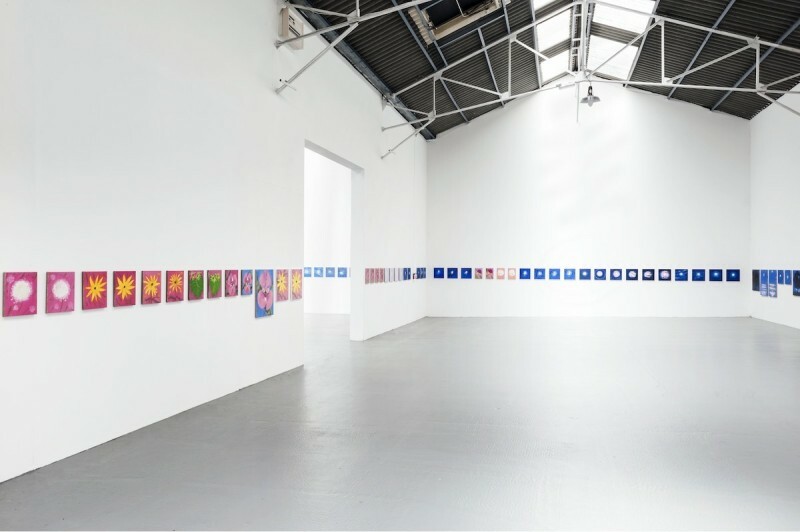 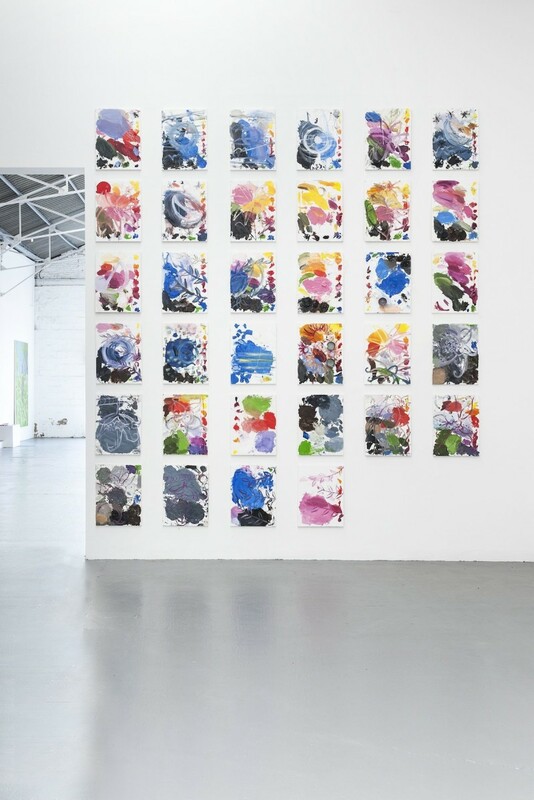 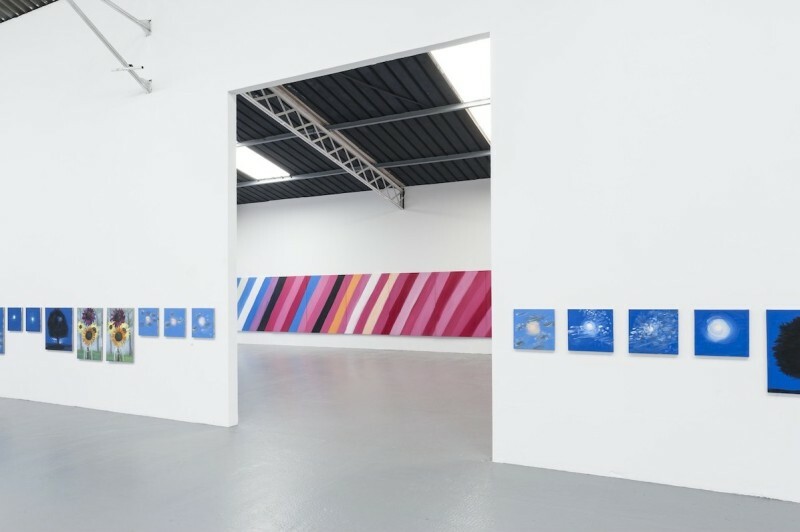 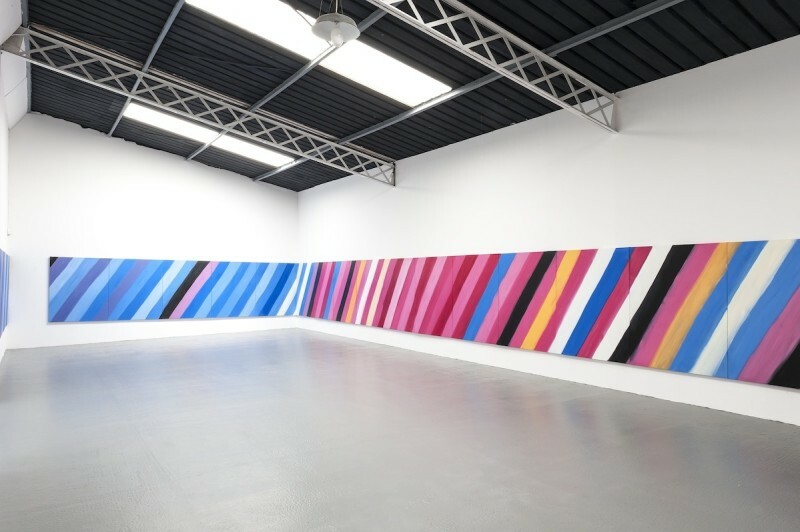 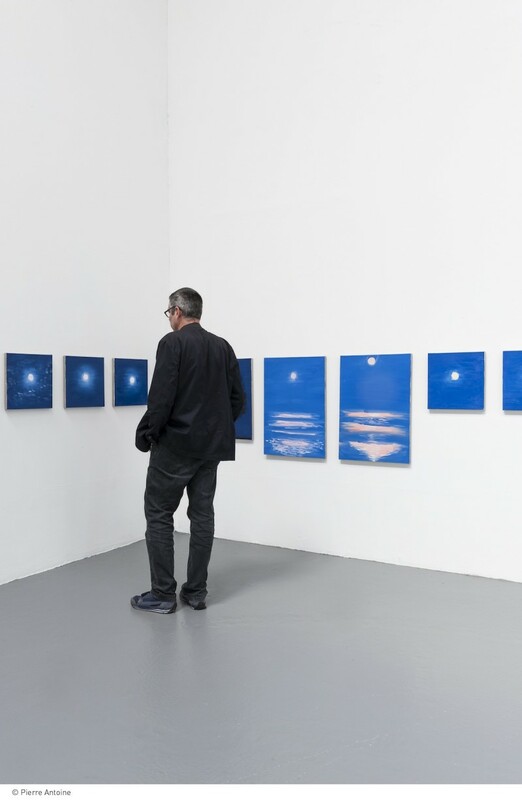 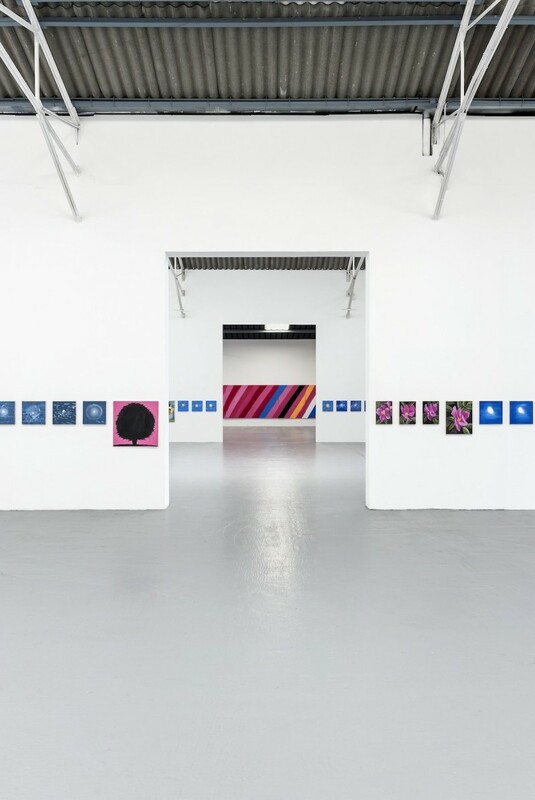 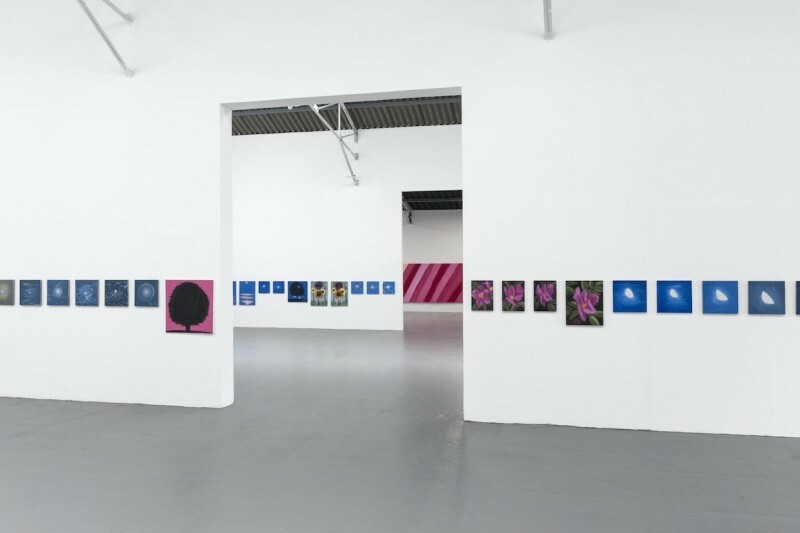 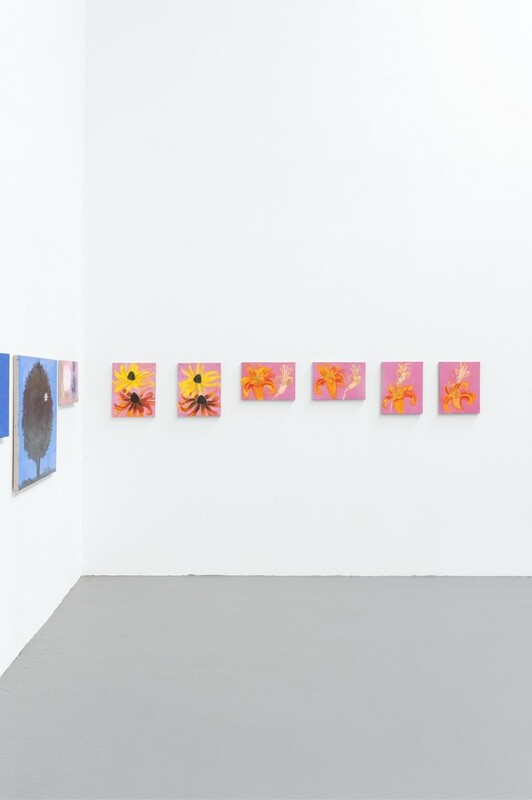 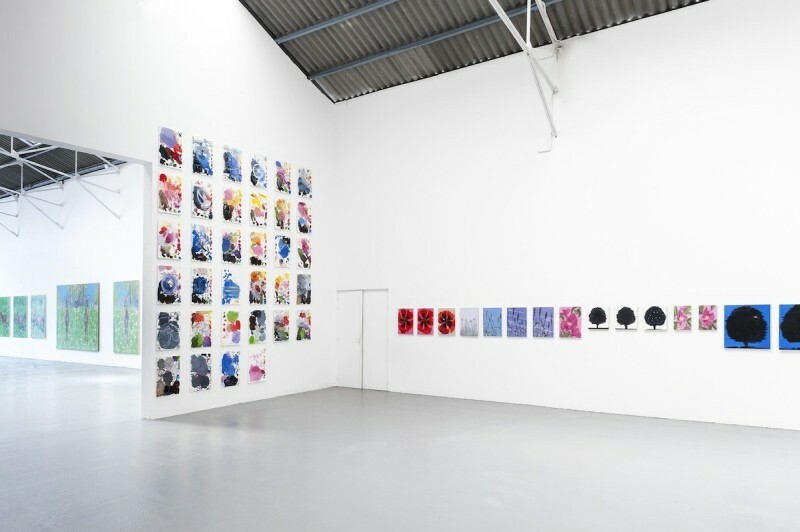 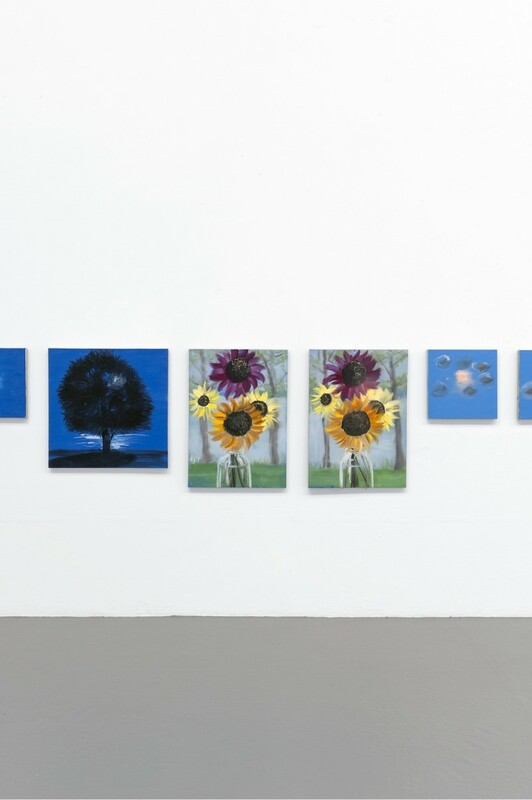 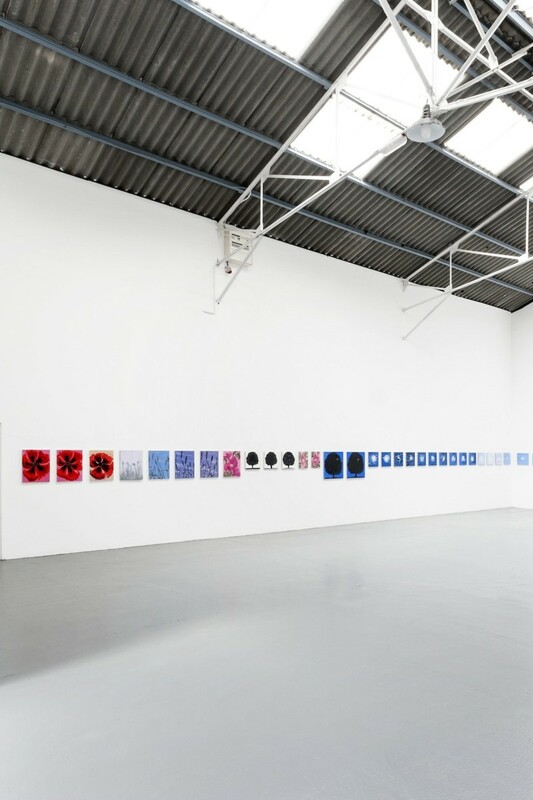 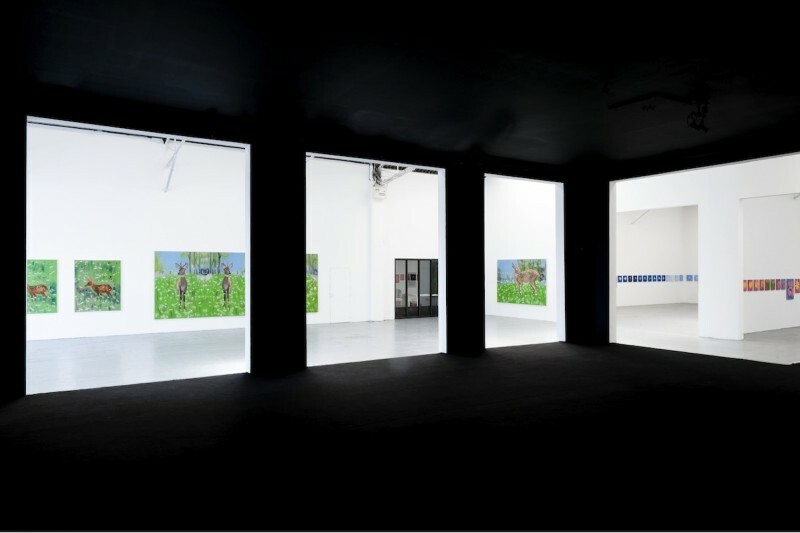 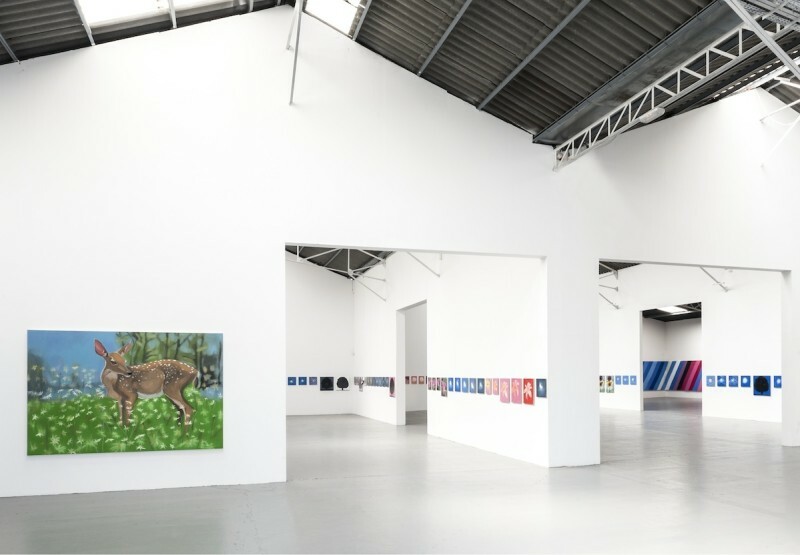 Again a problem, the warehouse gallery is not large enough … Once this first hypothesis was dismissed with regret, we chose to highlight several fundamental ideas in Craven’s work: time, profusion, system and attachment. 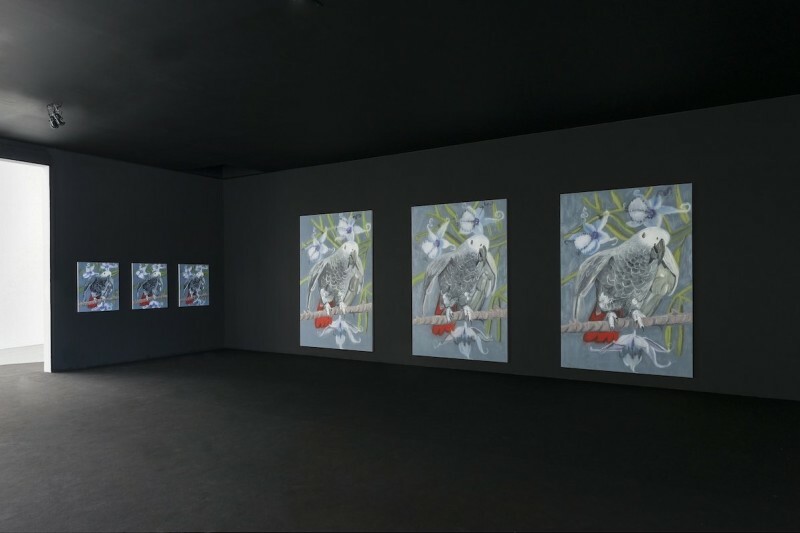 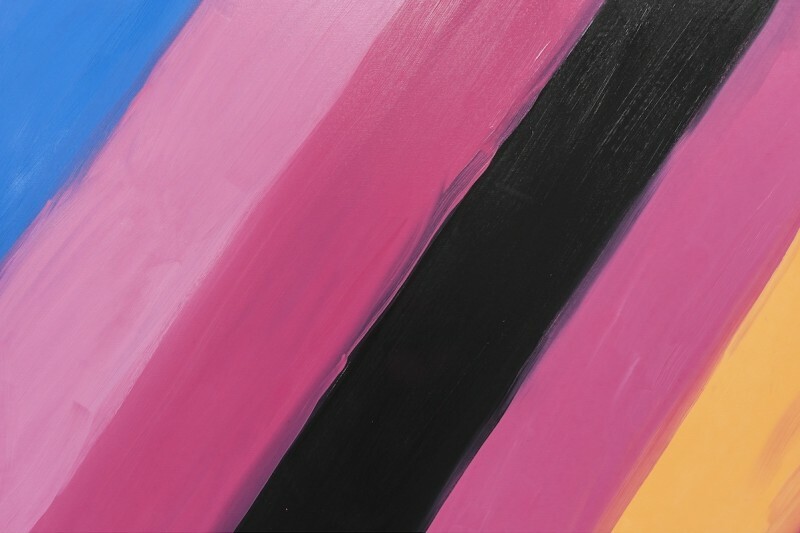 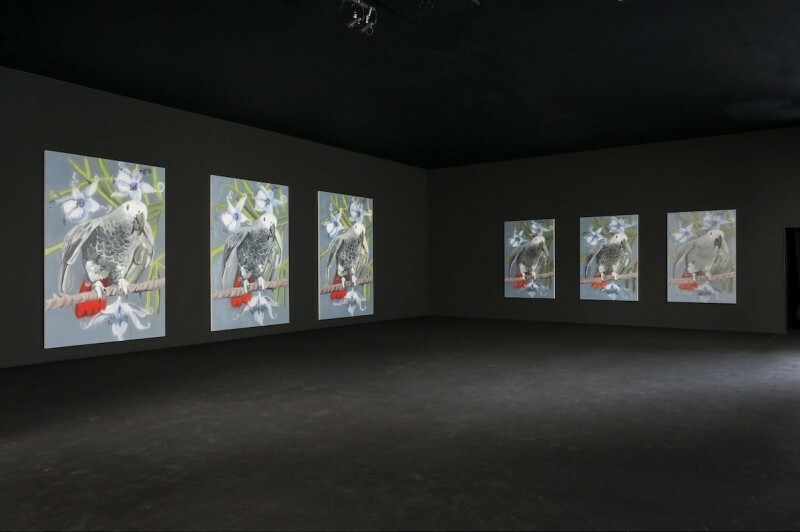 The exhibition features over 200 works by the artist; this is her most substantial exhibition yet. 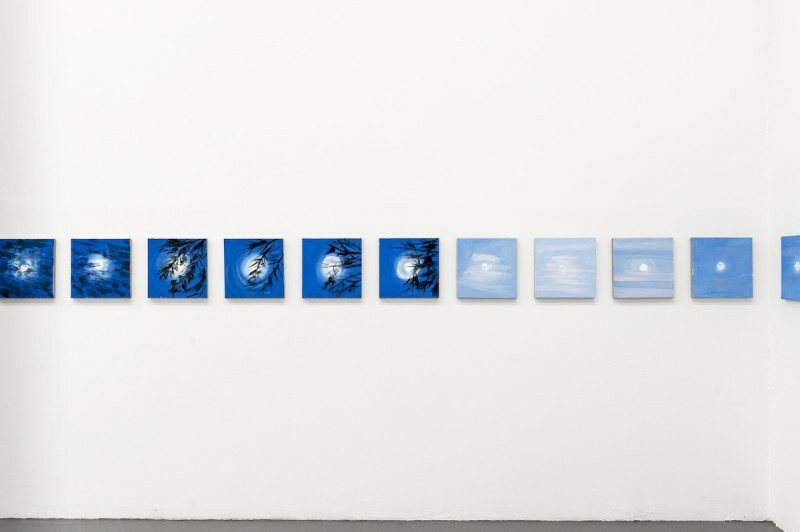 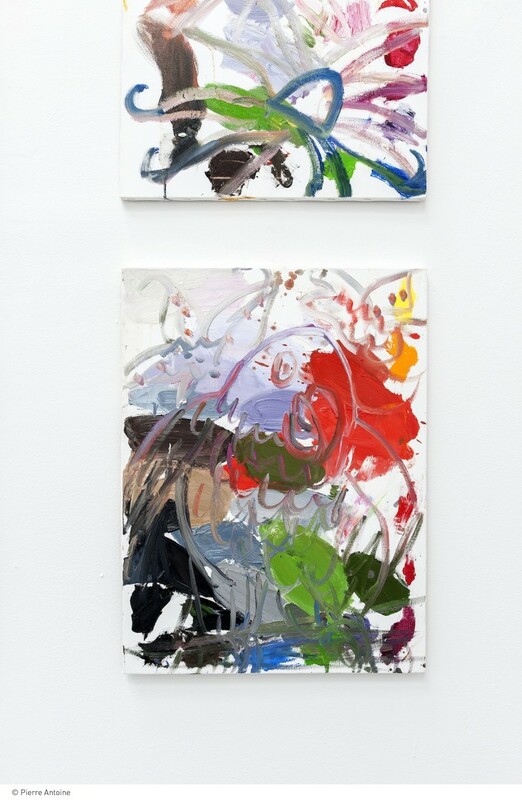 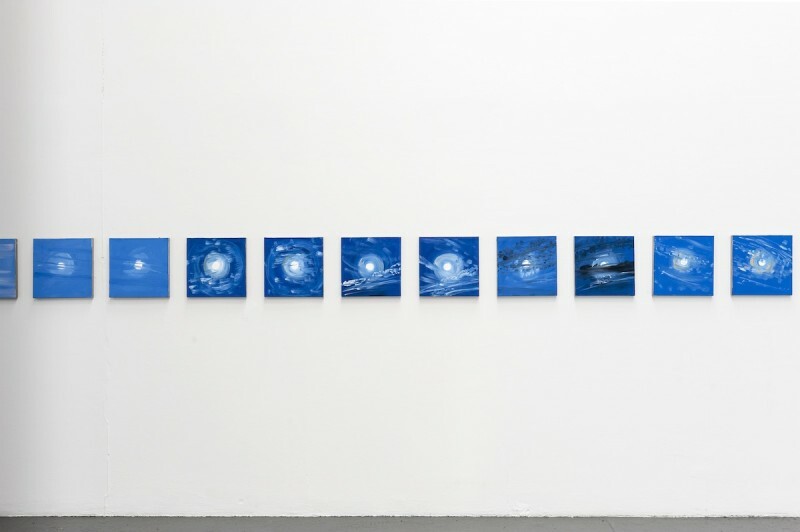 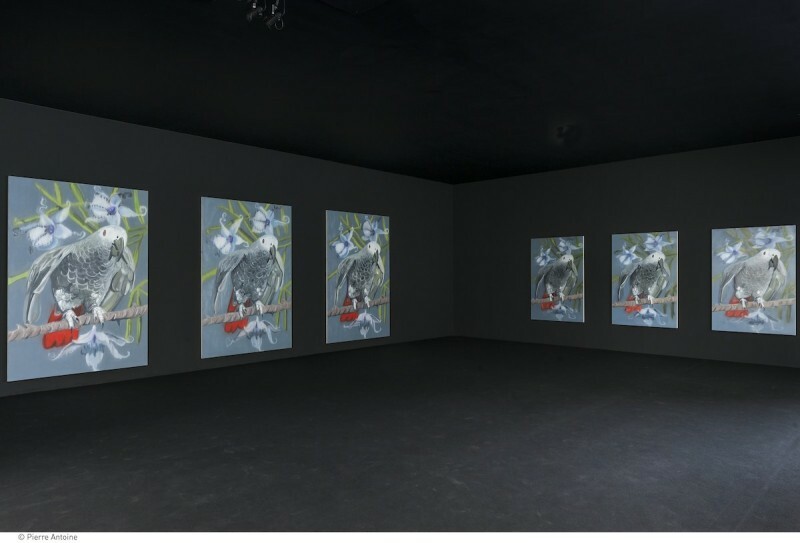 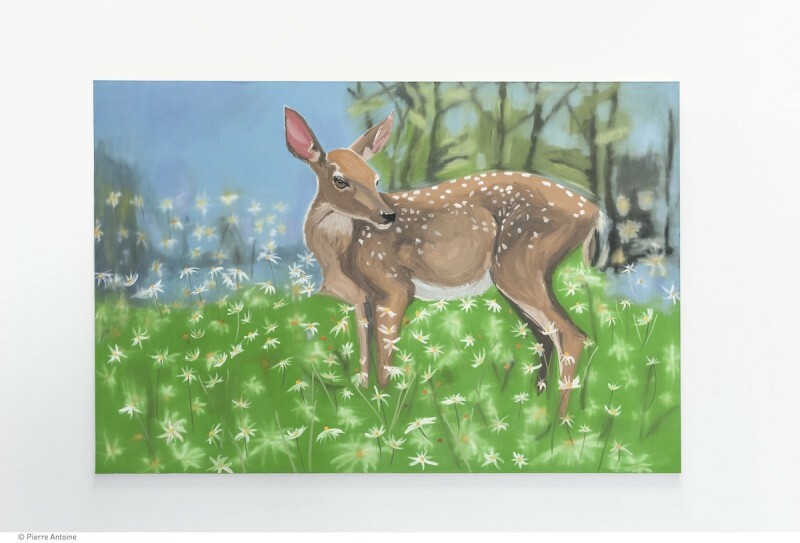 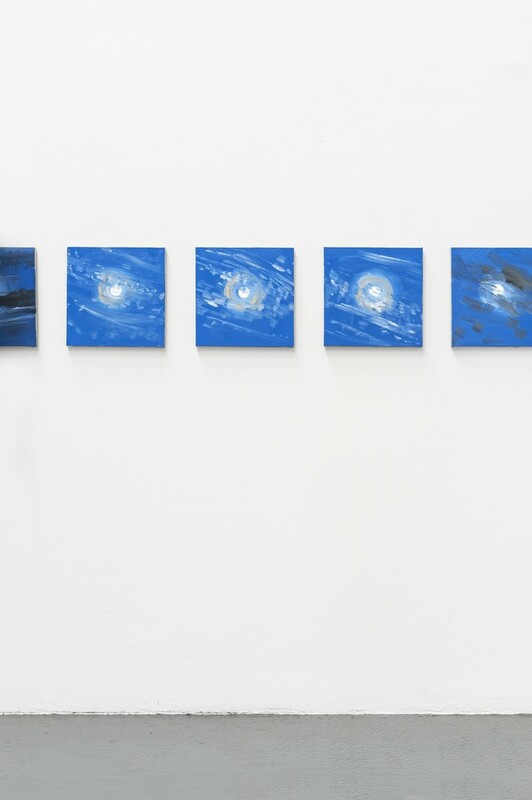 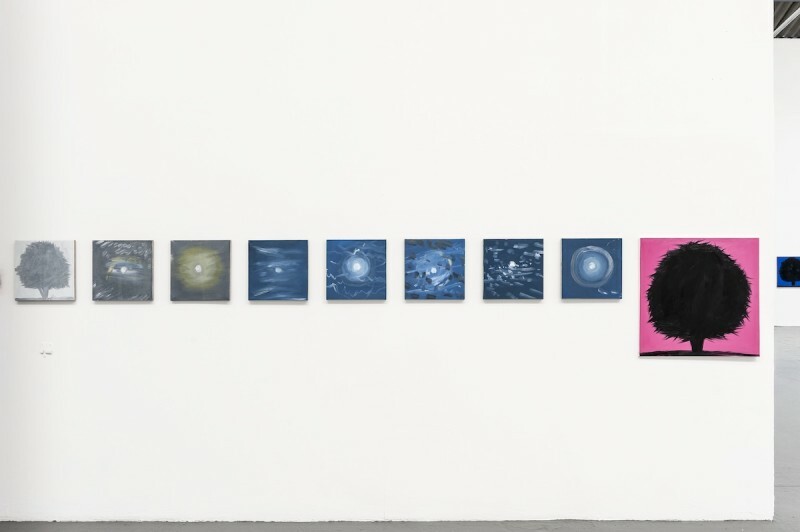 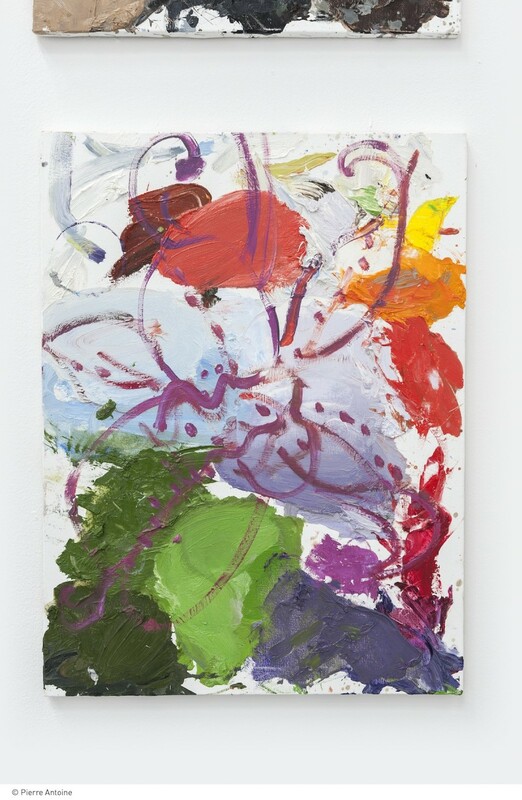 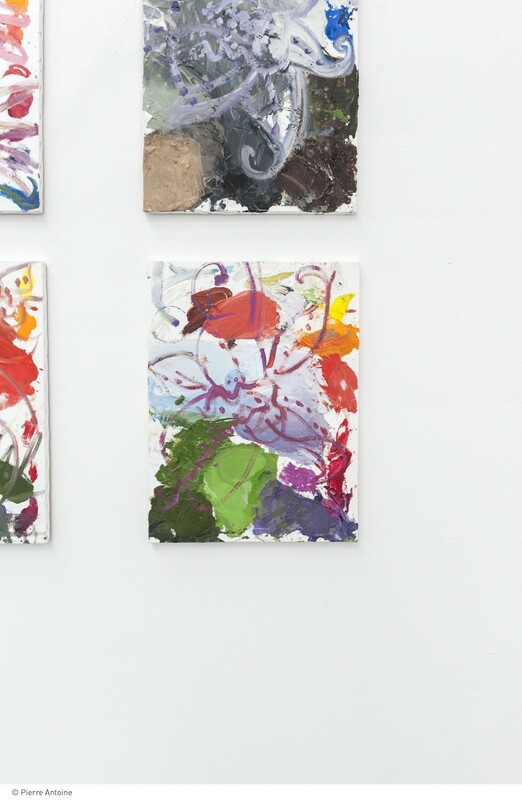 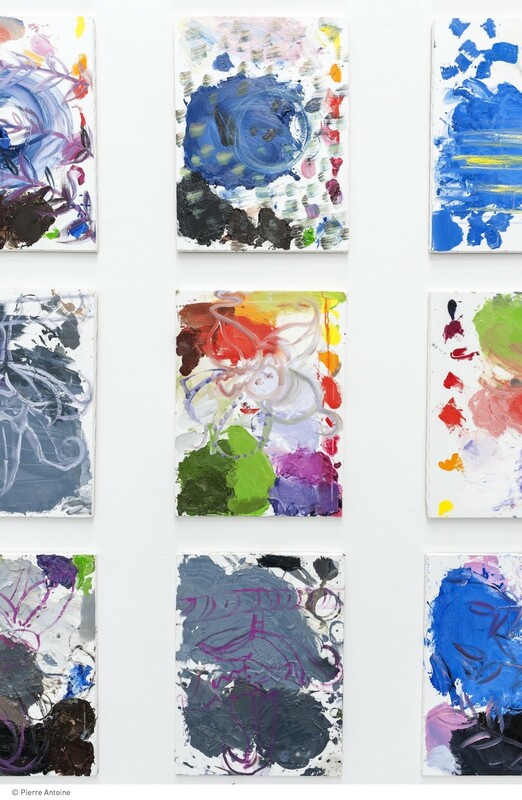 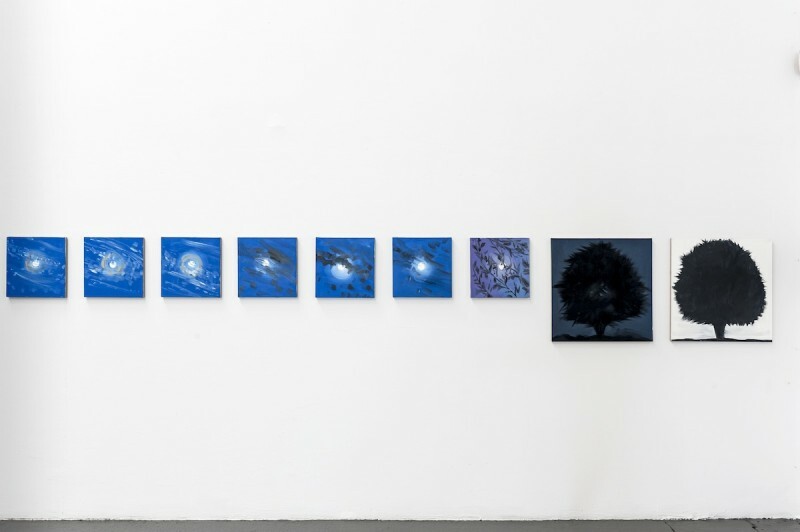 This quantitative element cannot stand as a critical argument, although it helps to understand the intensity of the work, both the abnegation and voracity of the artist, and gives a new dimension to the idea of series, paramount in her work.